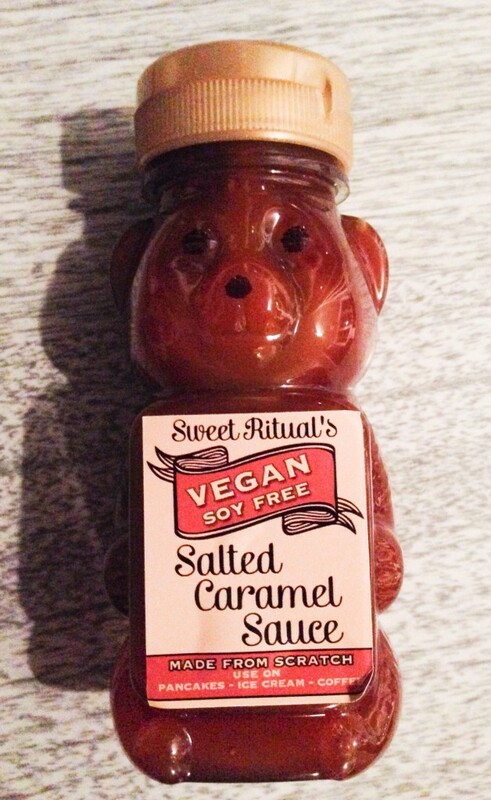 Vegan salted caramel sauce is here! I want to pour it on everything. This new sauce is the perfect combination of salty and sweet without tasting too sugary. Sweet Ritual, a vegan ice cream parlor in Austin, TX, created this delectable topping, ideal for sundaes, smoothies, on top of pancakes, or swirled in coffee. The sauce is bottled in bear-shaped bottles, typically used for honey. Who needs honey when you have salted caramel sauce, am I right? What I love about this caramel sauce is that it slightly hardens when poured on ice cream, so it’s like you’re eating a caramel candy on your scoop of cookies ‘n’ cream. I made banana soft serve—processing frozen banana slices in my food processor until soft—and drizzled the caramel sauce on top. It was perfect! Plus, the sauce is soy-free and made with coconut milk (which explains its rich, buttery taste). 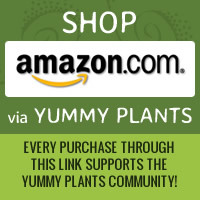 You can purchase the sweet stuff online from vegan stores Food Fight Grocery and Rabbit Food Grocery. Or you can pick up a bottle at Sweet Ritual. If you’re in the ice cream shop, be sure to try one of the 16 mind-blowing flavors (hello, peanut butter cup) and definitely get a scoop inside a freshly made waffle cone with vegan cookie dough on top. Delicious!